KOCHI: Padmashree Dr Jose Chacko Periappuram with his team reportedly performed the Kerala’s first heart lung transplant surgery successfully at the Lisie Hospital. The surgery was performed on patient Jenisha (26) of Kuttampuzha in Ernakulam who was diagnosed with Eisenmenger’s Disease, a rare congenital heart disease. The doctors had advised her family that only the transplantation of heart and lungs would ensure her long term survival. The surgery happened thanks to the donated organs of on deceased Nithin from Karunagappally in Kollam district, who was earlier pronounced brain dead. The organs were transported from Lakeshore Hospital in the city to Lisie Hospital with the help of local police who set up a green corridor and ensured there was no delay. The surgery is reported to have taken seven long hours. 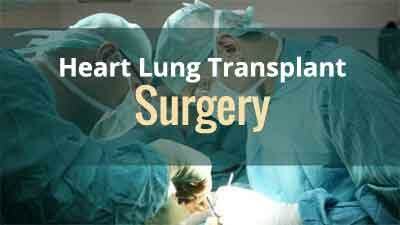 Uptil now, only 15-20 heart lung transplant surgeries have been conducted in India so far. A heart-lung transplant is a major and rarely performed surgical procedure. During a heart-lung transplant, a person’s diseased heart and lungs are replaced with the heart and lungs of a recently deceased donor. pulmonary hypertension – where high blood pressure develops inside the blood vessels of the lungs, which can damage both the lungs and the heart.